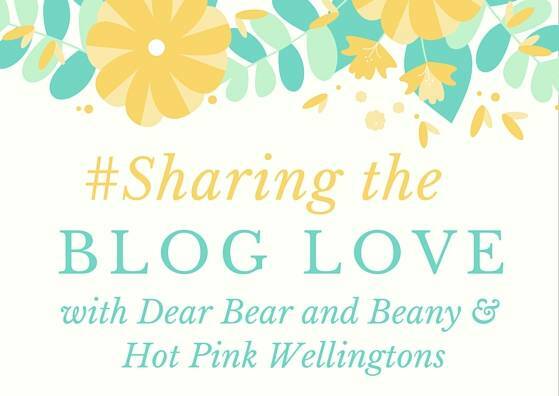 Welcome to Sharing the Blog Love, a linky that I co-host with the lovely Katy from Hot Pink Wellingtons.We both love discovering new blogs, and we both wanted to give something back to the blogging community that has been so welcoming. Sharing The Blog Love Showcase…Thank you and Goodbye! Katy and I really want to give as much exposure as possible to the great posts that link up. All you have to do is link up your post, then Katy and I will both read all the posts linked up and leave a comment. We will then each showcase our 4 favourites the following week, as well as tweeting them throughout the week. That means 8 brilliant posts every week will be showcased each week. If you’re chosen as one of our featured posts, we’ll include a link to your blog post and a summary of your post and why we loved it. And if that wasn’t enough, we will add all the featured posts to StumbleUpon, which is another way to drive traffic to you. Our linky #SharingtheBlogLove open’s every Thursday at 6am and close the following Tuesday at midnight. Katy and I love hosting #SharingtheBlogLove and reading all the brilliant posts each week.